Mass Communication Specialist 2nd Class Amara Timberlake took three years off to earn her bachelorÕs degree and plans to apply for Officer Candidate School when she returns. It's a common refrain among sailors contemplating leaving the Navyseparation: They're burned out, they don't have time to finish college, they want to raise a family. But the Navy doesn't want to lose their talent and now plans to offer the expand the number of slots for those who want to take up to three years off and return seamlessly to the active-duty force. a the time invested in their training, so in 2009, the career intermission program opened up to let sailors take some time off, and there plans to expand it exponentially. The Career Intermission Program offers sailors up In CIP's current form, you can take up to three years off, while receiving a small portion tiny bit of their base pay every month for up to 36 months. They can then then return seamlessly to duty with no advancement consequences for promotions. The program started small, with 20 billets each for officers and enlisted, but a new proposal on Capitol Hill would expand the program by 10 ten timesfold. Now in its seventh year, 82 sailors have been accepted to CIP so far. The program has grown from one male officer and two enlisted men in 2009 to 13 participants in 2015, 10 of whom are enlisted and 85 percent women. But that's still only about a third of the available billets. Now, the Navy is asking But that's still only about a third of the billets filled, so to shore up applicants, the Navy is asking Congress to not only increase the billets to 400, to widen eligibility and to make and but to make participation more flexible and, in some cases, better paid. If approved, there will be a new menu of options, for example, letting that let participants for example, take a shorter break with more pay in return for and a longer service obligation after they return. Currently, sailors receive 1/15 one fifteenth of their base pay — roughly $100 after taxes on an E-5's salary — and owe twice as much time as they took off once they return, in addition to whatever was left on their enlistment or contract. So that would be a minimum of six additional years for a sailor who spent three years off duty. 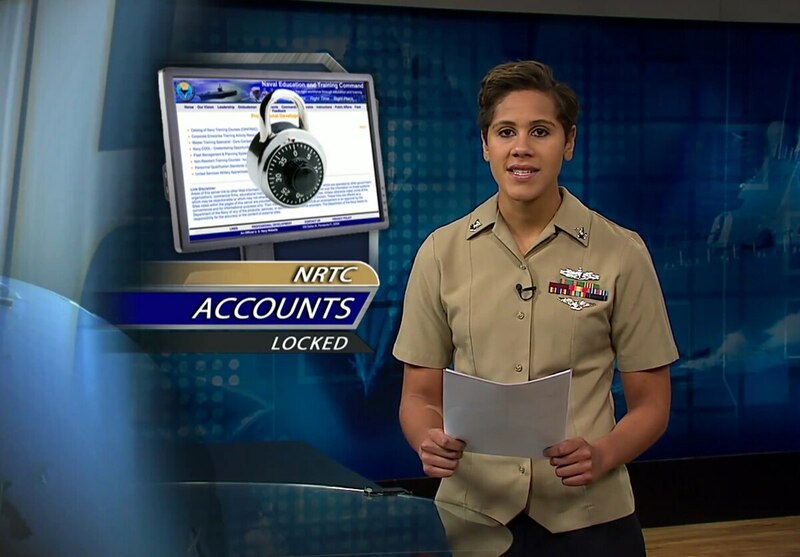 There are now some eligibility disqualifiers that the Navy is trying to dumpget rid of. Going forward, sailors earning critical skills retention bonuses or a selective re-enlistment bonuses would be eligible for the program, though they wouldn't earn the extra money during their time off. That means more than 24,000 SRB sailors and 2,550 CSRB sailors could apply. And the program would also open up to those in their first enlistment, which would help solve the problem the service has retaining sailors after their initial obligation effectively solve the post-initial obligation retention problem because participation would require a mandatory extension. Similarly, officers still serving their minimum service requirement, typically three to five years, would be eligible, as would those receiving retention bonuses. CIP is an option for service members who Want time off to raise a family, finish school or care for a sick relative? Need it to stagger sea tours for dual military spouses or to launch that Mount Kilimanjaro expedition? Then CIP might be your ticket. r perhaps a dual military couple wanting to stagger their commanding officer tours. Among enlisted members, one of the most popular reasons reasons the most popular choices are But so far, enlisted members for taking time off is to taking time to earn an their undergraduate degrees is a popular option. Mass Communications Specialist 2nd Class (SW/AW) Amara Timberlake, 25, joined the Navy in 2007 with the specific goal of using tuition assistance to get a degree. But after a demanding tour aboard the aircraft carrier Nimitz and another high op tempo duty station, with Defense Media Activity at Fort Meade, Maryland, she was feeling burned out and not much closer to graduation, she said. "I was at a point where I was kind of fantasizing about taking a break from the Navy," she told Navy Times in an April 14 phone interview. "If I could just have two more years to finish my degree, or two years at a shore command where I could really study — that was my ideal." Now she's in school, and planning to on her way to applying for Officer Candidate School when she returns to become a public affairs officer, she said., to become a public affairs officer. The break is welcome, she said, but she wasn't expecting how tough it would be to leave the military environment. "It's hard to expect people [in class] to be on top of their work, be organized," she said. "I think I really, really took that for granted when I was in the Navy. I'm really looking forward to getting back to that." Then there's the absence of her salary and the hefty significant Washington, D.C.-area basic allowance for housing. She made a plan to use her GI Bill benefits at Broward College in Fort Lauderdale, Florida, and then transfer to Florida Atlantic University to study communications. She's been in Florida since December and she's making it work, she said, but the financial burden is tough. Her wife is trying to sell their house in Baltimore while she pays the rent on a place in Florida, but work-study is offsetting some of her school expenses. "I thought I was financially prepared, and I really wasn't," she said. Yeoman 1st Class Tamoris Gordon used CIP to finish his criminology degree and found he had so much extra time off that he got a part-time job at PetSmart that also helped cover the bills. Officials are now looking at more options for CIP that would pay out larger stipends. Yeoman 1st Class Tamoris Gordon used CIP to finish his criminology degree and found he had so much extra time that he got a part-time job to help cover the bills. Officials are considering paying larger stipends for those in the COP program. The financial hurdlesaspect are is a common concern for CIP participants, so the re-vamped program's bigger stipend would be a welcome change. Yeoman 1st Class (SW) Tamoris Gordon, 27, sat down with his chief at the Office of the Chief of Naval Personnel to lay out a financial plan before starting the program last year. 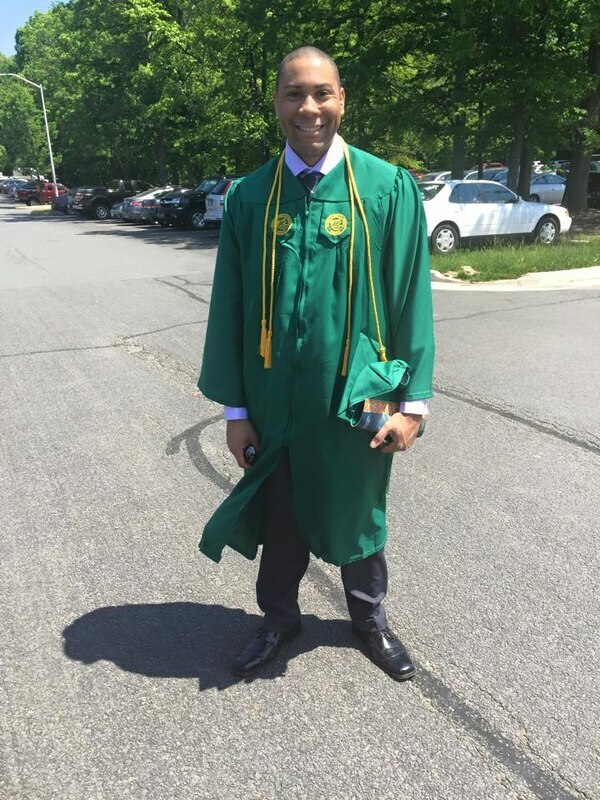 He had started going to school part-time at George Mason University, down the road in northern Virginia, but he decided to take a year off to focus on school full-time and finish his criminology degree. He joined the Navy right out of high school in 2006, he said, and "all I knew was work." But with hopes to earn his commission and become an intelligence officer, he decided a break was the right plan, though it was jarring at first to be out in the civilian world. That, and the money, are why he worked check-out at PetSmart on the side. "It was actually kind of weird, to be honest," Gordon said. "At first I was actually completely bored out of my mind, hence why I got a part-time job." But the time off has reinforced his commitment to a Navy career in the Navy, which is CIP's main goal — giving those who want to remain in uniform some time off so they return with undivided focus. "To be honest, being outside the Navy, it makes you kind of think about how important the Navy is and how much stability you have when you're in the Navy," he said. For newly commissioned Ensign Manaia Alaimalo, CIP had a couple extra perks: Three years in which he was able to live in his own house and put his kids to bed every night. Alaimalo, 32, was a Fleet Marine Force hospital corpsman 1st class when he started his career intermission in 2011. He had two deployments to Iraq with the 1st Marine Division out of Camp Pendleton, California, when he was working at his command's career counseling office, watching other troops transition out of the military without a back-up plan. "I would ask them, 'What are you going to do afterward?' and they would say, 'Oh, I'm networking,' " Alaimalo recalled. "That's when I knew for sure I did not want to exit the military like that." So he decided to take his combat medicine experience and parlay translate it into a nursing degree and a commission, opting for Grand Canyon State University near a house he owns outside Phoenix. He funded school with his GI Bill, like Gordon and Timberlake, and supplemented it with student loans while his wife worked extra shifts. "We planned for it, but it was much more intense than what we planned for," he said. Now he's assigned to the post-anesthesia care unit at Walter Reed National Military Medical Center in Bethesda, Maryland, fulfilling a goal to become a health care professional, which he'd had since before he enlisted in 2000. "I joined when I was young. I had just turned 17, pretty much your typical story," he said. "You start to grow as a person, and a man, and you start to see what the Navy really has to offer." All three participants said they were eager to restart their Navy careers, and that a solid financial plan is a must for anyone contemplating CIP. There's also the matter of getting benefits while technically separated. Outside of a fleet or military concentration area, where you can get Tricare, like Timberlake and Alaimalo, it can be harder to get health care. Timberlake suggested theat updated instruction include more guidance for sailors on how to navigate their military status during CIP, because participants receive a discharge paper DD-214 and are technically part of the Individual Ready Reserve. And a pay bump would be much appreciated. "I think that financially, if they offered more — like half your base pay — I think that would really help," she said. A new compensation scheme hasn't been settled on, a Navy official confirmed, but the details will be announced if or when the proposal passes with the 2016 National Defense Authorization Act.